Three Little Word. I. Love. You. That is what this necklace is named, and those three little words are so powerful! This is my necklace, thanks Dogeared! This necklace, is the necklace I picked out for my Mom! It is one of the Karma necklace. It says "Let your necklace be a reminder that the best in you is the best within me. Thank you for keeping our circle positive, wise and full of love". There was no question this wasn't perfect for my mom. She is my rock, strength, and biggest supported. All that is good in me, came from her! I first discovered Dogeared at Market in Atlanta, or was it Dallas, I can't remember actually its been so long, but what I do remember was the sentiment behind the jewelry. I remember they had a dish in their booth full of small silver tear shaped drops, each with a word on them. They were for you to take and enjoy! I still have mine, and to this day I hang my kiss drop on one of my favorite pictures of the BF and I kissing at sunset on the beach along with the silver key to my heart! Infused with positive energy, and handcrafted in California, each design ranging from subtle classic, to unexpected statements, were designed in the spirit of love, kindness, and consciousness. With modern and versatile styles, designer Marcia Maizel-Clarke recognized the need for jewelry that speaks. Some of my favorite pieces are the Karma ones, Dogeared believes in what goes around comes around. Keeping the same values as they did when they started in 1991, Dogeared is committed to supporting nonprofit groups working to heal the environment and create social change. 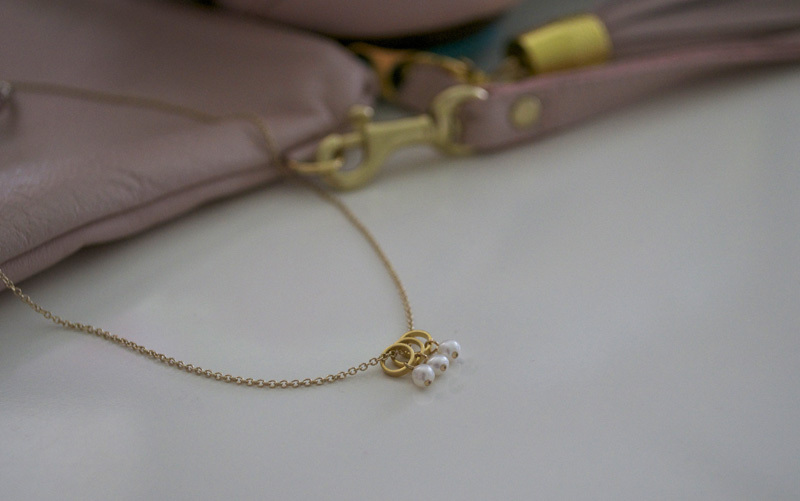 Creating jewelry that celebrates love, happiness, and good karma is what Dogeared is all about. Making a personal, positive statement about the people that love and wear them. Mothers day is approaching soon, and I have a special giveaway for you in honor of our moms! 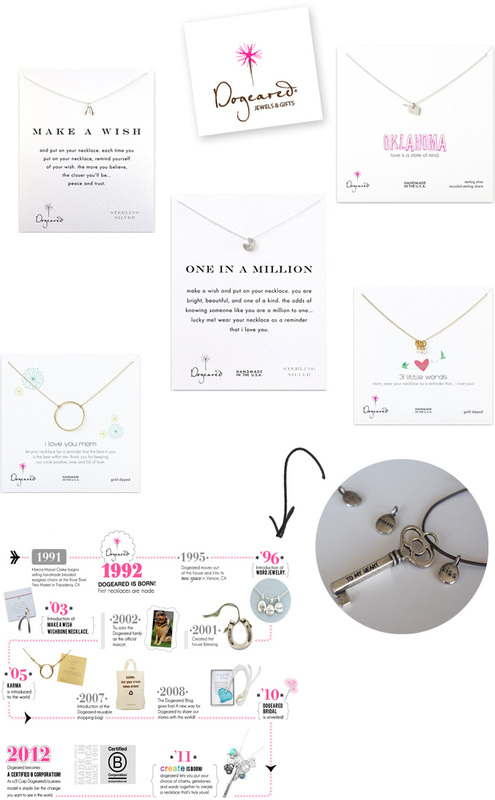 I have teamed up with Dogeared to offer one of you the chance to win a necklace for yourself, and for your mom! 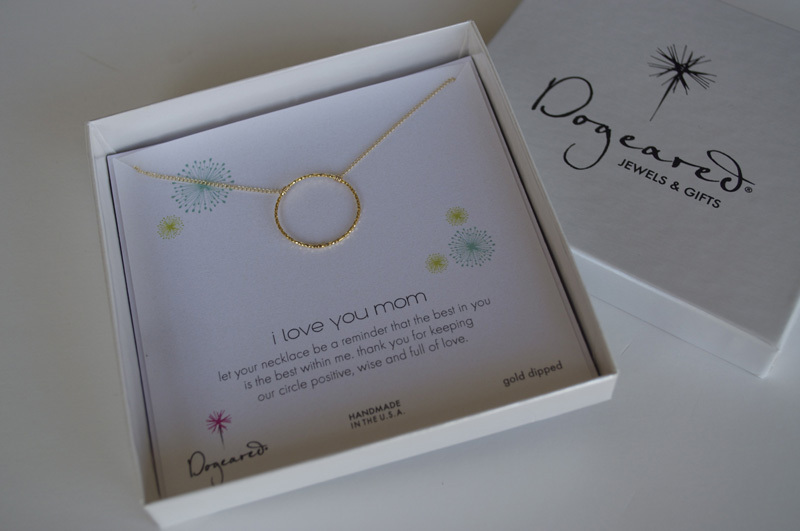 Dogeared will even send the necklace straight to your mom for you too! How perfect is that! Use the rafflecopter form below to enter, and remember to follow the instructions to insure your entry counts! This is such a great giveaway! I have the gold circle Dogeared necklace that I LOVE. I'd choose the New Jersey necklace for me and the Karma necklace for my mom. I like the Circle pendants and the Gold Dipped Heart. thanks for the giveaway! I would love to get the one in a million sand dollar necklace for my mom! I would love the mom one in a million keshi pearl necklace, gold dipped for my mom! I love the Three little Words and the One in a million necklaces! So sweet! Thanks Lisa! Hard to choose but I love the "make a wish" wishbone and the "i love you mom" I think. Such a sweet collection! I had a cross necklace from my sister that was dogeard sadly it was misplaced. I just love how dainty their jewelry is!